London was the weakest performing region for the first time since 2005, with house prices down 0.6 per cent year-on-year according to UK building society Nationwide’s latest House Price Index. 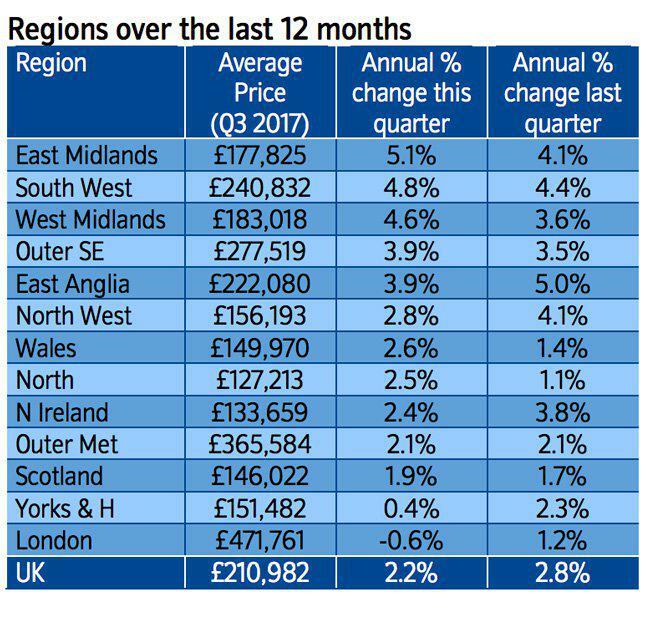 For the UK as a whole annual house price growth was stable at 2.0 per cent in the September quarter, 2017. Commenting on the figures, Robert Gardner, Nationwide's chief economist, said: “The annual rate of house price growth remained broadly stable in September at 2.0 per cent, compared with 2.1 per cent in August. “Housing market activity, as measured by the number of housing transactions and mortgage approvals, has strengthened a little in recent months, though remains relatively subdued by historic standards. “Low mortgage rates and healthy rates of employment growth are providing some support for demand, but this is being partly offset by pressure on household incomes, which appear to be weighing on confidence. The lack of homes on the market is providing ongoing support to prices. 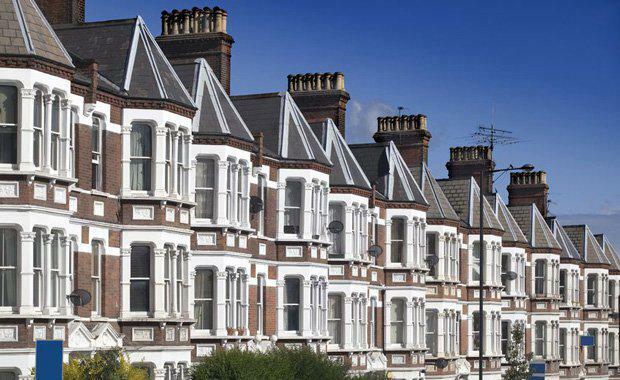 “House price growth rates across the UK have converged in recent quarters. Annual growth rates in the south of England have moderated towards those prevailing in the rest of the country. London has seen a particularly marked slowdown, with prices falling in annual terms for the first time in eight years, albeit by a modest 0.6 per cent. "Consequently, London was the weakest performing region for the first time since 2005. Gardner said that at its September meeting, the Bank of England’s Monetary Policy Committee signalled that, if the economy evolves broadly in line with its expectations, an interest rate increase is likely in the months ahead. This would be the first increase in the Bank Rate since July 2007. He said that any such rise would likely have only a modest impact on economic activity.